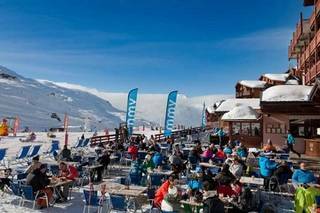 Ski hotels in Les 2 alpes : compare ! Want to live a beautiful experience and new sensations? Opt for a stay in hotel ski in Les Deux Alpes, a resort located on the Massif des Ecrins. The village of Les 2 Alpes is located at 1650 m altitude with ski lifts allowing to climb up to 3600 m via a funicular. Skiing enthusiasts will be particularly spoiled in Les Deux Alpes thanks to the resort's extensive ski area. Les 2 Alpes benefits from an exceptional quality of snow. Les Deux Alpes offers you a resort with a dynamic character to enjoy winter sports under a radiant sun during your ski hotel stay. Les Deux Alpes offers you at 3600 meters altitude a ski area that allows you to explore the largest glacier in Europe. You will enjoy staying in this resort with a youthful atmosphere and you will be able to enjoy the après ski activities of the resort equipped with quality hotel infrastructures for your ski hotel booking in Les 2 Alpes. Those who opt for a ski stay in a hotel in Les 2 Alpes have the opportunity to enjoy a large number of outdoor activities or sports equipment.Whether you are a winter sports enthusiast or a lover of nature and the mountains, your stay in Les 2 Alpes will enable you to enjoy an unforgettable holiday. resort, different types of hotel with quality services like a hotel club with entertainment for the family, classified hotels with swimming pool in half board or full board. Ski Express allows you to compare a large number of hotels and find the cheapest hotel for your ski holiday at Les 2 Alpes in order to make sure you find the cheapest price for your stay. In addition, we offer a transparent and efficient comparison by displaying the offers by price and a price including the handling fee.